Workingman roots aside, Adam Carolla is a brilliant radio personality. Whether you agree or disagree, love him or hate him, Carolla for if nothing else brings unique commentary through his show on all sorts of universal matters like relationships, politics, music, and nutrition, which has been a big topic for him lately. The show holds up whether he rants and raves by himself or when he is engaging with his on-air team of personalities in Bald Bryan, who commands the sound effects, and the lovely and talented news person, Gina Grad. In addition to his team, Carolla gets an amazing array of top-notch personas as guests almost on a daily basis. The guests raise the level of the show through the stratosphere. There is one regular guest from the early days of the show that pulled down the coveted number one, all-time best guest spot on our recent 11 Best Guests Of The Adam Carolla Show feature, insert Mike Dawson sound effect saying “Number One!”, and that guest is none other than David Alan Grier. 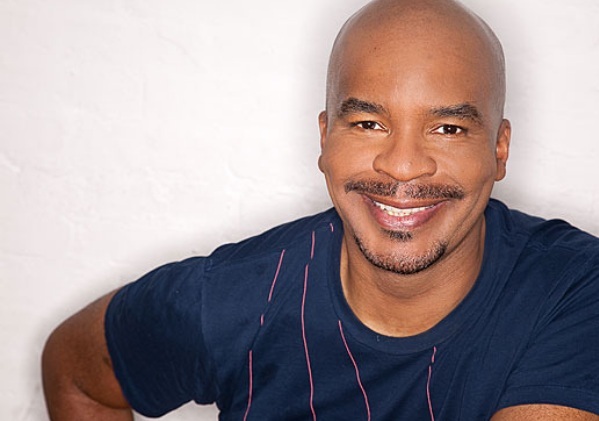 David Alan Grier or D.A.G., as he is affectionately known on the show, is a master improvisational, comedic performer. His talents align beautifully with Adam’s approach to podcasting as Adam is the king of spontaneous, improvisational comedy. In his many appearances on the prior iterations of Loveline or The Adam Carolla Show, Adam would tee up D.A.G. with funny premise after premise who would then proceed to hit the ball out of the park each and every time with some classic, all-time memorable bits. The “Teddy Pendergrass skit” might be some of the funniest spontaneous moments in podcast history. Grier is a super talented performer and perhaps does not get the recognition he deserves having been in the shadow of the Wayans family, not to mention Jim Carrey, for all of those years as a regular on In Living Color. David Alan Grier has quietly appeared on many hit movies and television shows and his artistry is not just limited to comedy. D.A.G. has been Tony-nominated for “Best Actor” for his dramatic performance in the hit musical The First on Broadway as well as having received other awards which are testaments to his diverse range of skills. To see the classical nature of his talent, in terms of acting and singing in addition to his comedic chops, is rare to see anymore in the entertainment industry and it makes him a draw for countless opportunities and appearances on media outlets, including a recent stop on the iconic Howard Stern Show. Grier is clearly still a draw for premier media outlets but he has not been on The Adam Carolla Show podcast in a significant amount of time which has lead many to speculate that there is a rift between the two. What gives guys? That would be tragic if so. Perhaps one of the explanations is that Grier has been busy working on major network projects and sitcoms such as The Cool Kids on FOX and A Series of Unfortunate Events of NETFLIX. But others have speculated there may be something much more nefarious going on in the underbelly of the relationship between Grier and the Carolla Digital camp, be it with Adam himself and perhaps even with Dr. Drew. As previously noted, much of what is produced on Carolla’s show format is often off the cuff and spontaneous. Adam likes to put some of his regular guests that he admires and thinks are highly talented on the spot to perform funny bits for the show. Adam will often belabor some of the recurring sketches that D.A.G. has done in the past. Many of these bits have been off-color, NSFW, quasi-racial and sexually offensive in nature. Perhaps because of the controversially charged nature of the humor and bits that have been and could be done, D.A.G. himself is offended or is trying to keep his image as clean as possible to sustain the roles he has garnered on the major networks or in consideration of future projects for that matter. Could this be a conscious and proactive plan by Grier to keep out of trouble in these times of Twitter mob justice? Let me be clear that I am not criticizing The Adam Carolla Show, Adam, or D.A.G. regarding the offensive nature of some of the bits. I am clearly a passionate fan of Carolla. The nature of offensive humor and our ever-growing outrage culture with people being so easily offended is another discussion for another time. I appreciate some of the off-color humor and jokes that are often done on the show and I do not get offended early nor often. I bring up the off-brand humor only as a possible explanation for why David Alan Grier has not appeared on the show in quite some time and not at all as a critique of the content created in the past. I do not know if I personally buy sensitivity to the edgy humor as an explanation, though, because D.A.G. was equally a part in creating those bits and jokes along with Adam. That explanation does not seem to fit. I was also under the impression that D.A.G. and Adam were good friends. It always appeared and felt like D.A.G. had fun being on the show to promote his upcoming projects and seemed to revel in the joy of creating incredibly funny premises and skits for the show. Did something happen behind the scenes between the folks at Carolla Digital, PodcastOne, or Adam or Drew themselves? Adam is no stranger to talking about the behind the scenes wheeling and dealing within his personal and or professional life but he has not mentioned anything on the show about the clear and obvious lack of Grier’s presence. So what could it be? Why has David Alan Grier, a multi-time appearing and fan favorite guest not been on the show in years? He can not just be too busy, right? As previously discussed, I also do not subscribe to the theory that Grier does not want to do the controversial and slightly offensive bits on the show. I certainly do not want to believe or even contemplate that there is a riff between D.A.G. and Carolla. That would be a total bummer. There is one thing that I do know with certainty and that is David Alan Grier is the ALL-TIME greatest and funniest, number one guest on The Adam Carolla Show and we need him to come back. The morning this article was published there was a revelation in the burning mystery of “Whatever happened to David Alan Grier?” Sporting a bushy grey beard, the talented comedian Grier appeared on the Howard Stern Show to talk about dancing with Madonna and turning down a role in the comedic smash hit Ace Ventura. During the interview, Howard Stern asks, “Who is your best friend?” I am not sure why he was prompted to give this response but Grier went on to say that he was good friends with Adam Carolla, used to appear on his show frequently, but because Carolla has become a “Right Wing Troll”, Grier wishes Adam all the best but he won’t be coming on the show anytime soon. This must be very disappointing to Carolla fans, including yours truly, who is a big fan of both. D.A.G. went on to acknowledge that folks can disagree politically, but still be friends. But apparently, D.A.G. does not practice what he preaches. The next morning, Adam Carolla dedicated over 30 minutes to talk about his relationship with D.A.G. and that he does not feel the same way or share the same desire to be splintered off. He invited Grier to come back on the show. Adam tried to break down the mindset of why folks especially these days are so divided politically and how it can end friendships. People seem to attribute the worst characteristics to the person they disagree with to the point of sincerely not wanting to be friends anymore. And apparently, D.A.G. must be attributing the worst imaginable qualities onto Adam. If that is the case, he sees no hope for their long-standing friendship. After all, Grier referred to Carolla as being his “best friend” in the past. Let us hope for the sake of improvisational podcast humor and as a model for our polarized society as a whole, they can work it out. Are you a fan of The Adam Carolla Show? What do you think about David Alan Grier’s reasoning from staying away from the show? What about Carolla’s response? Please leave a comment. We want to hear from you.